The Team Godet started the 2015 season in a different configuration. Indeed Patrick has prepared last winter a “genuine” Grey Flash for Bruno Leroy while the 2014 Egli Grey Flash was allocated to Lancelot Unissart, the second rider. 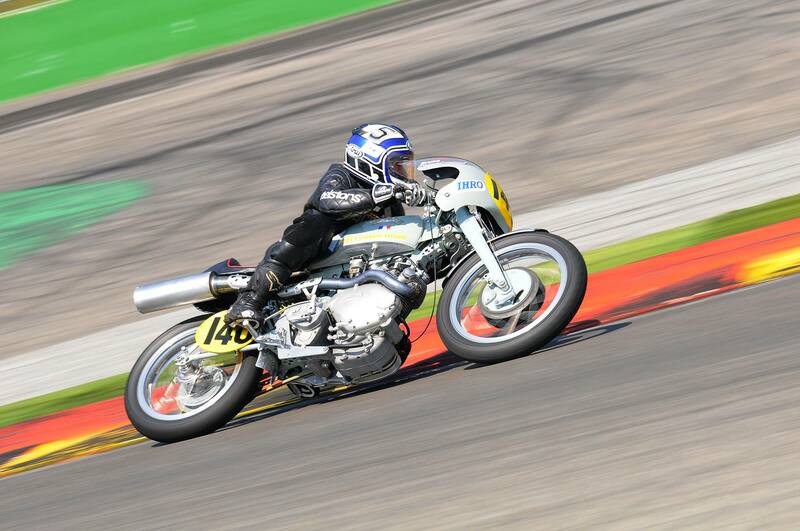 Unlike the Egli, this Grey Flash has a Vincent chassis (oil tank – cantilever and Girdraulic) but the 500cc engine is identical to the racer introduced last year, hence a 1950 design versus the 1966 Egli. 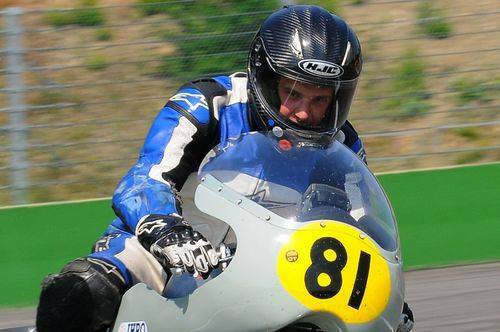 As reported previously, several private Egli Grey Flash will also compete in various championship via Peter Fox’s team (ridden by Alex Sinclair), Teamgallur (Australia) and Egli Racing who will debut at the IOM (see announcement on this blog). 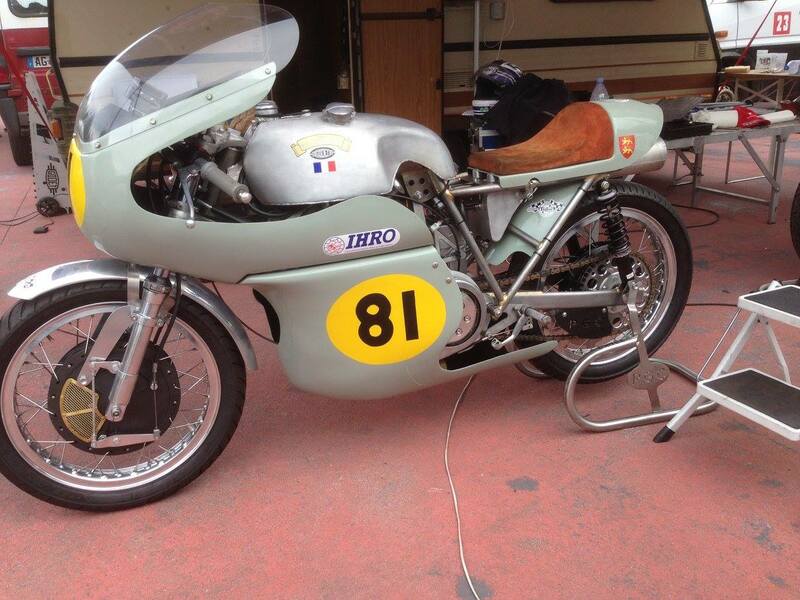 Last weekend was the Belgian Classic GP (Belgian Championship and IHRO) at Spa-Francorchamps, it was also the first laps for Bruno’s Grey Flash and Lancelot, who debuted on the Egli. Lancelot said: “The qualifications went well for Bruno, he was 3rd on the starting grid behind the two Paton (first single) while I was still learning, qualifying in 24th position and 11th single. For the first race, evidently Bruno fought with the two Paton during the opening laps, but two singles overtook him in the last lap, so he finished 6th and 3rd single (3rd as well in IHRO 1 500). For my part, I started to get my bearings (16th in the first lap), but a technical glitch costed me 1 minute in the 2nd lap, thus I started the second race in the back of the grid. I made a better second start and finished 8th just behind Bruno, so the 2nd and 3rd single. This Thursday we leave for the next race which will be Chimay (B) where Alex Sinclair will join us”. 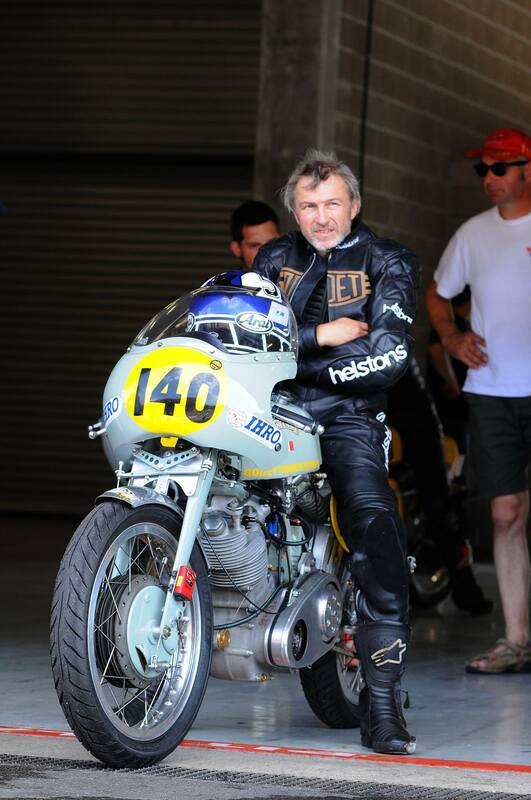 Team Motogallur has ordered a Gray Flash as well and intends to run both designs as we like Patrick wish to see the original Vincent design succeed .